He is an angel investor and a member of the Mumbai Angles leadership team, since 2007. Prior to this, Anand successfully founded and grew Rave Technologies Pvt. Ltd. into a leader in the outsourced software product development (OPD) space. 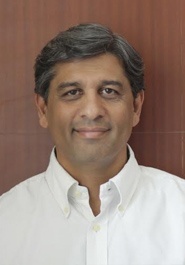 Anand holds a Bachelor and Masters Degree in Electrical Engineering from Cornell University. Apart from nurturing budding entrepreneurs, Anand enjoys playing golf and skiing.